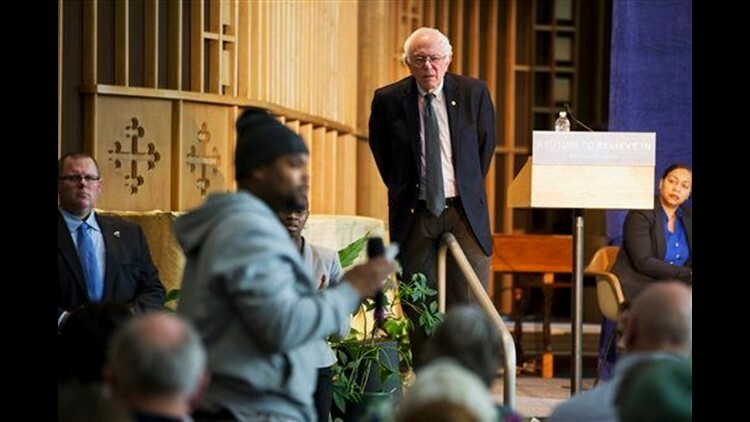 FLINT, Mich. (AP) — The economy was taking center stage Sunday as Hillary Clinton and Bernie Sanders prepared to debate one another in a city in tough shape long before residents learned their drinking water was tainted with lead. It was a safe bet that the candidates would devote considerable time during their debate to the water crisis inFlint, which got scant attention from Republican candidates when they debated last week in Detroit. Clinton, while visiting black churches in Detroit on Sunday, said she had asked that the debate be held in Flint"because we want to continue to shine a bright spotlight on what happened in that community." Benac reported from Washington. Associated Press writer David Eggert in Flint contributed to this report.